Children Suffering HORRIBLE BURNS After Getting Caught Up In Latest Ridiculous Online Stunt! When we were all kids, there was at least one or two stupid things that we all did that looking back on it were probably really bad ideas. For some kids, it was swallowing live goldfish. For others it was doing type of stuff you’d see on the show Jackass in more recent years. For me and my friends growing up it was jumping off a train bridge in the woods where we lived down to the river below. Now, the issue about that is there was nothing really other than the word of others there to tell you that you were going to be landing in a spot deep enough where you wouldn’t break your legs when you hit the water. That was at the very least something that didn’t involve ingesting something or doing something to your body. That was a stunt more or less that had a relatively low risk of injury. These days, kids are doing stuff that will almost guarantee that you are going to get hurt like the one where you put your hand on a hot stove. Via AWM: Every year, a new social media challenge seems to come about. These challenges force desperate people into dangerous situations so they can prove that they’re part of the cool crowd. It’s an unfortunate thing that children feel the need to push themselves and their bodies to painful lengths so they can get “likes” online or a pat on the back from someone who doesn’t really care about them. That’s why this new schoolyard craze has parents horrified. Not only are young people engaging in it so they can fit in with their peers, but they’re also putting themselves in danger – all while causing severe bodily harm to their flesh and hands. So what is the craze that has children going to the hospital and showing up to school with third-degree burns? It is a simple DIY craft with dangerous consequences. Children want to make home-made slime. Because children can find a bunch of recipes online with the simple search of “recipe for homemade slime,” they’re stumbling upon some directions that are very dangerous. Making slime has become so popular that some parents are even joining the trend and enabling the dangerous behavior by hosting “homemade slime” parties where children gather to make it themselves. But if it is done wrong or a dangerous recipe is chosen, children can burn themselves as they play. Kathleen Quinn wants you to hear her story. 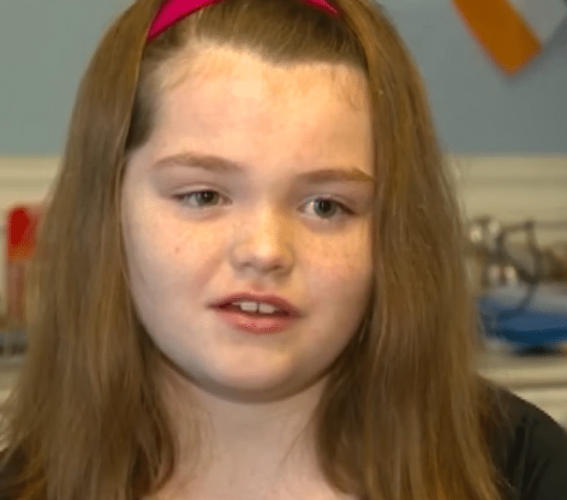 She was making homemade slime at a sleepover when she suffered severe burns. She shared her story, and the news went viral. Quinn is an eleven-year-old girl who lives in Rockland, Massachusetts. She used Elmer’s glue and Borax, which is often used to kill ants and other pests to make her slime. As she was rubbing the borax and glue over her skin, she started to feel a strange sensation. It was a tingling feeling all over her hands, and then it started to get very hot. But since the poison was glued onto her flesh, it was hard to get it off before it seared her skin with third-degree burns.